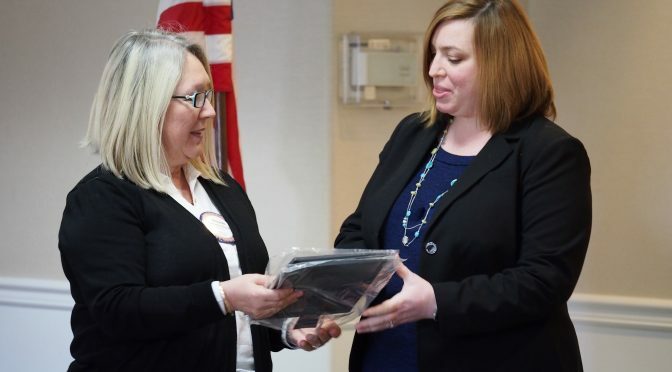 The Monrovia Rotary Club was pleased to induct Deb Pringle to membership. Deb is a Realtor® with Vastree Real Estate, specializing in families and historic homes in the Monrovia area. Originally born in Queens NY, Deb grew up in a small town in Pennsylvania where she pursued her love of animals, working with the local VCA Animal Hospital and volunteering her time to train animals for the Susquehanna Service Dogs organization, which provides service dogs and hearing dogs for disabled children and adults. Moving to California, Deb studied high end dining service, eventually working with the award-winning Tavern restaurant in Brentwood and receiving her certification as a Level One Sommelier. Today, Deb is a proud member of the Monrovia community, engaging in social groups, book clubs, and spending a portion of her free time serving as a tutor for adults working to learn English as a second language. At home, Deb takes care of her own animals – two cats and an adorable Boston Terrier. Deb is also an avid baker… a skill that is encouraged by her husband, stand up comedian Ken Pringle (much to the chagrin of his expanding waistline!). What’s Rotary? We’re a leadership organization… We’re made up of local business, professional and civic leaders. We meet regularly, get to know each other, form friendships, and through that, we’re able to get things done in this community and we have fun doing it. 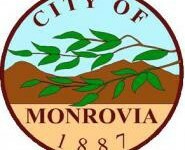 The Monrovia Rotary Club meets Tuesdays from 12:00-1:30 at the Monrovian Restaurant at 534 South Myrtle Avenue, north-east corner of Myrtle and Colorado, in the upstairs banquet room.